With the knowledge and quality of Knorr. Veterinary Services inspected & passed. Kosher - Meat. 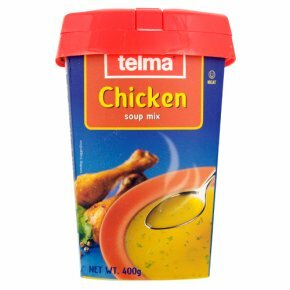 Preparation Instructions: for a single serving: add 1 teaspoon of soup mix to 180 ml (6 fl. Oz) of boiling water, stir well and simmer for 3 minutes. Add to casseroles and gravies for extra chicken flavor.